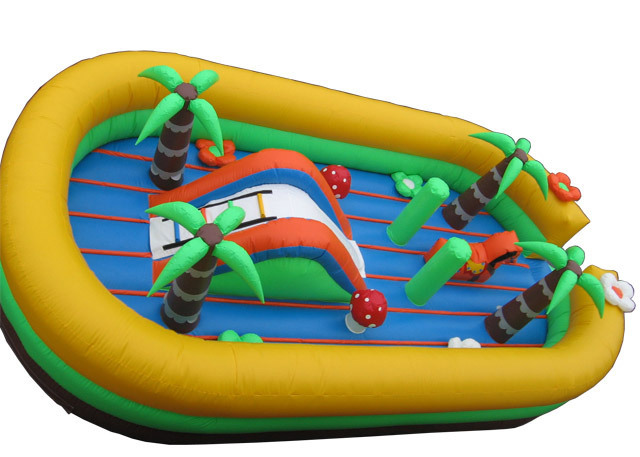 This adorable inflatable Toddler Playground is a colorful, fun addition to any celebration for small children. 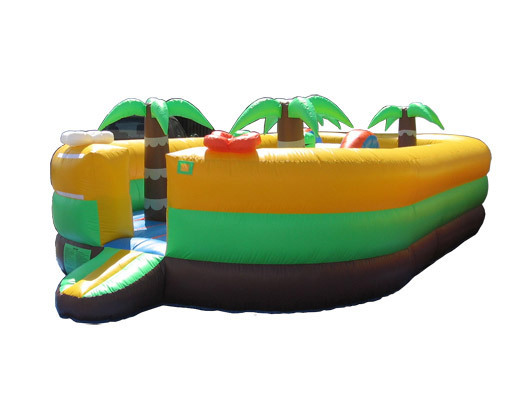 Shaped like a boat, the bouncy playground has a brown base, a blue and orange floor, and green and yellow safety bumper walls decorated with inflatable flowers at the ramp entrance. 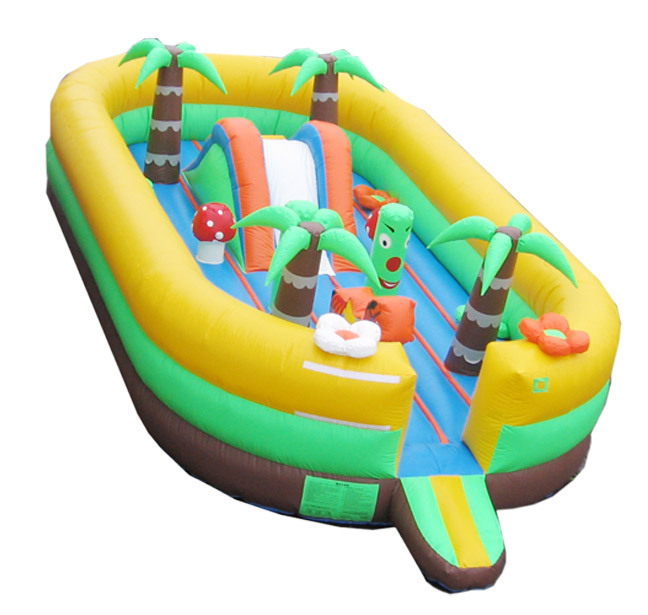 Inside the boat playground, there is a miniature slide, with a ladder wall to climb, and lots of inflatables to play with, including palm trees, mushrooms, smiling push over columns, and more! 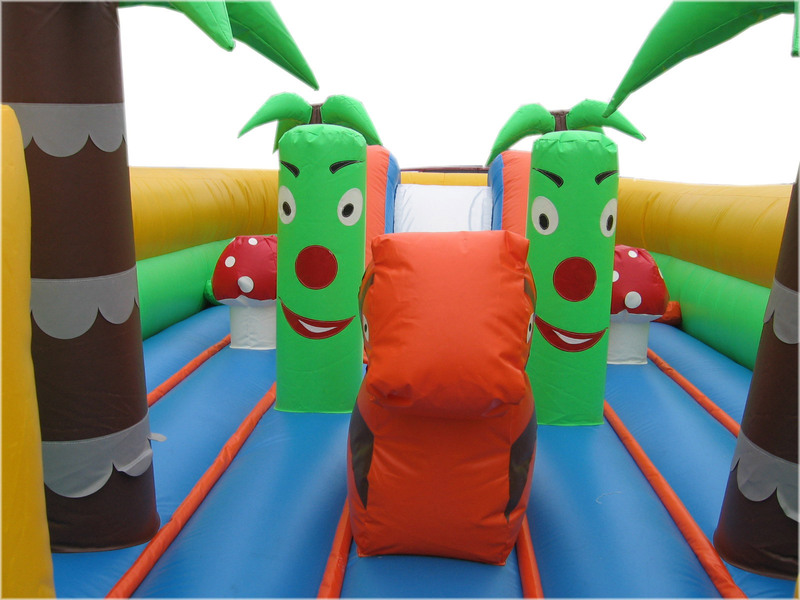 Little ones will have fun all day with this great Toddler Playground for birthday parties and all types of special events!